Instagram is known for its digital toolbox loaded with cool camera effects including time-lapse videos and Boomerang GIFs. 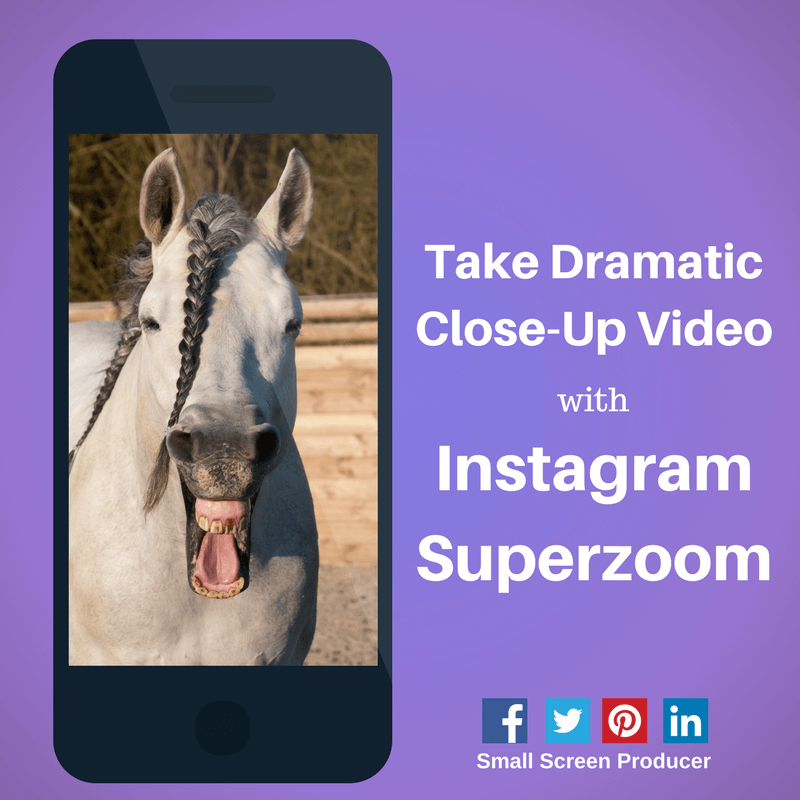 Its newest offering, Instagram Superzoom, allows users to take dramatic close-up videos which can be synced up with music and sound effects. These short videos are created using either the front- or rear-facing camera on your device. Users control how long the video is by holding down the shutter button for anywhere from three to fifteen seconds. Instagram allows users to include a lingering, slowed “final zoom” of your subject. Superzoom also features a targeting reticle and special stabilization technology so the shot is nice and steady. Over 70 percent of top brands are active on Instagram, and for a good reason: it is a great way to showcase products and to increase brand awareness. Technology is being created at breakneck speeds, and Small Screen Producer proudly helps brands increase their exposure and conversions by taking full advantage of it. Call us today to start building a multi-channel online marketing strategy that maximizes cutting edge tools like Instagram Superzoom with one of our accomplished digital media marketing experts at (281) 569-4370.